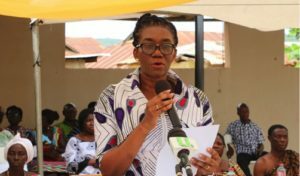 The Executive Director of the National Population Council, Dr Leticia Adelaide Appiah says about 17 per cent of all pregnancies in Ghana are unwanted. According to her, although many families would like to have smaller family sizes, due to lack of family planning methods, such families usually end up having bigger size families. 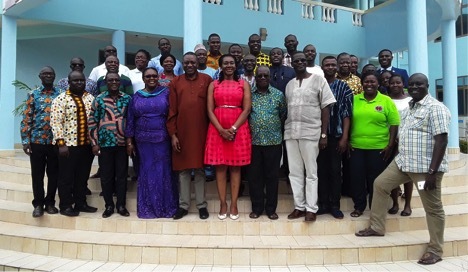 Dr Appiah was speaking at the opening of a two-day oversight workshop organised for the Parliamentary Select Committee on Population held at Koforidua in the Eastern Region. The workshop was to enable the members of the Population Caucus in Parliament to ascertain the impacts of health and population issues on national development. The workshop was opened by the Deputy Minister of Health and Member of Parliament for Weija Gbawe Constituency, Ms Tina Gifty Naa Ayeley Mensah. In attendance was the Deputy Minister of Fisheries and Aquaculture Development and MP for the Ekumfi Constituency, Francis Kingsley Ato Codjoe. ily accessible and available” to people of reproductive age, it would significantly reduce the incidence of abortions. According to her, nobody would think of abortion if such pregnancy was planned for, adding that people usually go for abortions as a result of lack of planning for such a pregnancy. “Let us make family planning easily accessible,” she said, noting that the current population structure of the country where a few people have to take care of many young unproductive populations does not support manufacturing. Dr Appiah has therefore suggested that family planning should be made part of immunization process to help curb the menace of growing population of the country. She said “education on family planning will set the stage for economic development”, adding that population has a direct bearing on the country’s development. She explained that the country cannot make any meaningful national planning if the family, which is the basic unit of the country is not planned and managed well. She was of the view that in our age, having large family sizes is not the best option since robotics are virtually taking over the jobs of the human population. Dr Appiah said “having fewer children makes it easier for both parents to pursue education and career goals, save and contribute to economic development”. She expressed the worry that many teenagers are getting pregnant, noting that adolescent childbearing is associated with lower educational attainment among the mothers, and it can perpetuate a cycle of poverty from one generation to the next. “Increased use of modern contraceptives by adolescents wanting to avoid pregnancy would prevent unintended pregnancies, save lives and improve health,” she suggested. Dr Appiah explained that “lower fertility combined with multi-sector investments make it easier for countries to improve the health and skills of the labour force and create jobs”. She said investment in family planning and quality education are critical to accelerate economic development of any nation, adding that “family planning is an imperative for economic development”. The event was attended by representatives from the United Nations Population Fund (UNFPA), National Population Council, Plan Parenthood Association of Ghana (PPAG), and Ghana Health Service (GHS). The Chairman of the committee, Dr Rashid Pelpuo, MP for Wa Central, urged the members on the committee to take a keen interest in the workshop in order to realise the purpose for which the workshop was organised. He said the caucus remained the largest caucus in parliament, adding that the workshop was intended to enable the members on the committee to gain a close understanding of the issues of population, HIV/AIDS, teenage pregnancies and how they impact on the country’s development. He said the workshop would help to establish linkages between population and development, noting that “the consciousness about the effects of population on our quality development of human life is known and has been worked on since 1969”. Dr Pelpuo said as part of the workshop, the members of the committee would undertake a field visit to the Koforidua Regional hospital to meet management and staff and also to get a first-hand information on health delivery in the region and the country as a whole.